Sugar are excellent skin exfoliators and moisturizer that helps to get rid of the excess skin cells clogging up your pores. This wonderful brown sugar scrub is mixed with Coconut and almond oils. 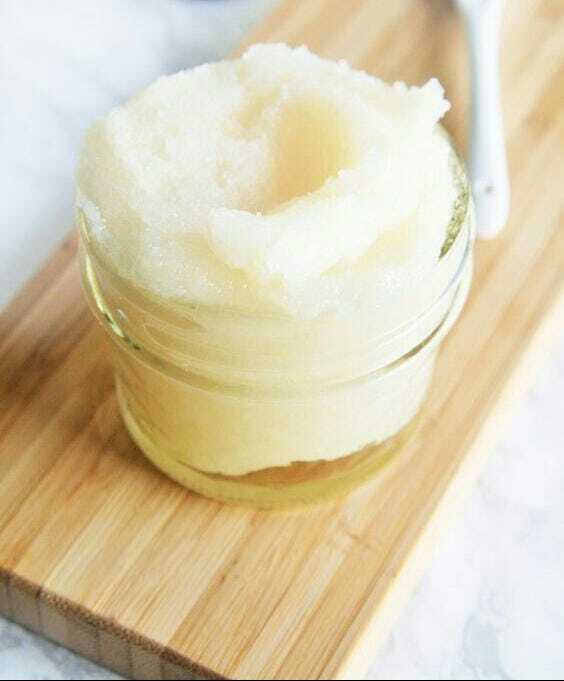 You have a sweet scrub to help rid you of your acne woes and eczema while nourishing and revitalizing your skin. Giving yourself a much needed spa day at home when you need it most. Scoop the scrub into your damp hands and massage between your hands until you feel a gritty paste. Scrub your face and body in a circular motion until most of the sugar crystals dissolve, then rinse. **These statements have not been evaluated by the Food and Drug Administration. These products are not intended to diagnose, treat, cure or prevent any disease. If you are pregnant, nursing, taking medication, or have a medical condition, consult your physician before using this product. My face loves this scrub! This purchase was also a refill. It gets the crud out and puts the stuff I need back in. Plus it smells like a hug from my sweet wonderful friend. Wow ! This was my first time using this item. I'm pleased 👍🏾.